Happy Halloween!! I hope you all have a safe and fun night trick-or-treating. And guess what? Tomorrow you gain an hour. You know what you should do with that hour? MAKE THIS BARK. After all, you’ll have loads of candy. You know what I love about Easy Candy Bark? Lots of things. It’s easy to make – two ingredients and about 5 minutes of time. It’s so easy your kids can make it all by themselves!! You already have loads of candy from trick-or-treating…why not put it to good use? Jordan loves to make bark. She makes her Oreo Peppermint Bark every single year. I think that candy bark like this makes a great gift – and you already have half the ingredients in that loot bag on your kitchen counter. I know what I’m doing tomorrow: I’m going to make all my holiday gifts out of Jordan’s Halloween candy and then just chill it until December. It’ll still be good and I’ll be DONE WITH CHRISTMAS. I win. 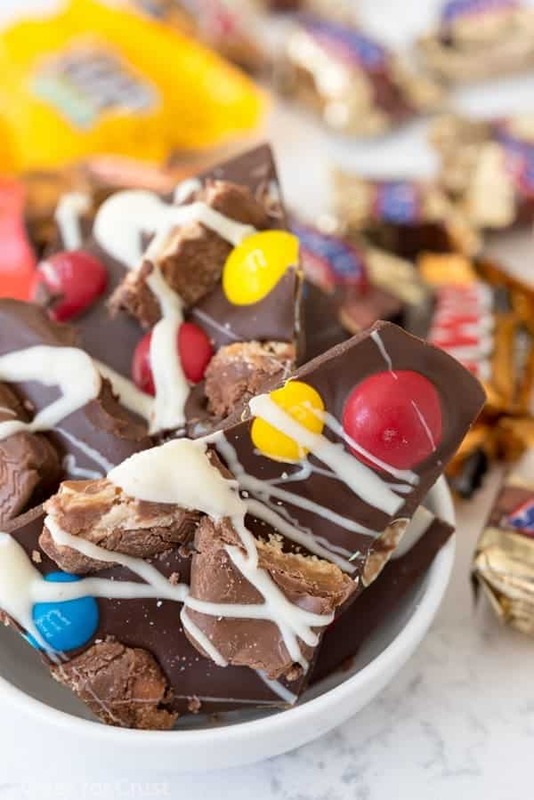 Just a few ingredients makes the BEST halloween candy bark ever! Place chocolate chips in a microwave safe bowl. Melt in 30 second increments on high power, stirring between each, until melted and smooth. If your chocolate has trouble melting, add 1 teaspoon of vegetable oil during the melting process. Spread melted chocolate onto a cookie sheet that’s been lined with wax paper. Cut mini candy bars in half and sprinkle them, along with any M&Ms or other candy of choice over the melted chocolate layer. Press lightly to adhere. Melt the white chocolate at 50% power in increments of 30 seconds, stirring between each, until smooth. Place in a small sandwich bag and cut off one tip. Drizzle over the top of the bark. Chill to set, break into pieces. And last, but not least, all your burning butter questions answered. 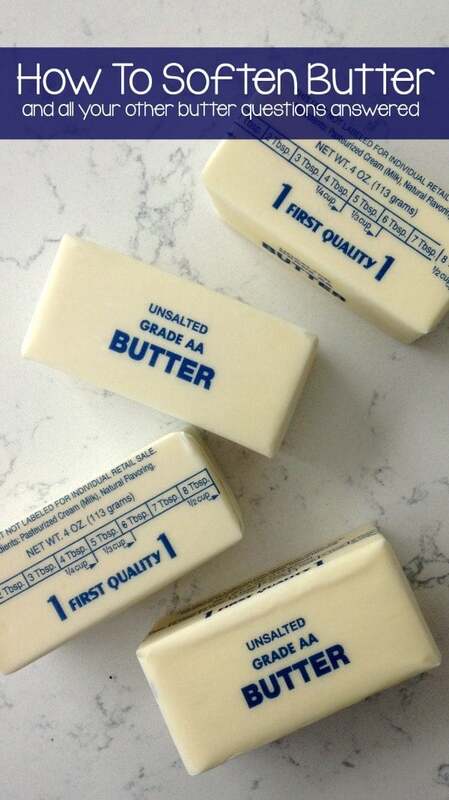 HOW TO SOFTEN BUTTER and all your other butter questions answered is over on eBay too! I’m having a blast baking with all this Halloween candy. Bark is always such a fun option, too! Bark is so fun and easy to make. Your candy bark is a great way to use up collected or extra Halloween candy. Everything tastes good together on bark! Look so sweet, my kids will surely love them. Thank you very much for your sharing!